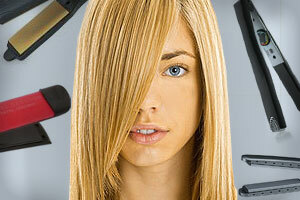 Beauty & All That: Straighten your Hair! We think you should embrace your curls, but sometimes a girl's got to go sleek. We don't blame you but we do insist you use a good flat iron. A quality (but not necessarily expensive) straightener works quickly, damages hair less and gives strands a smooth, shiny finish. Bad flat irons? Well, they leave you a frizzy, damaged mess. Check out the irons TotalBeauty.com readers love (er, and one they hated).